A few months ago I published a link to a virtual tour of the First Class cabin on American’s Boeing 777-300ER. 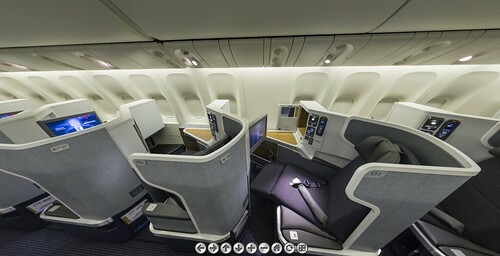 Thanks to Google Alerts, I found a virtual tour of the new Business Class cabin. Go here to take the tour. Where are these birds flying currently? @ Stephan – London and Sao Paulo. Here’s a link to the latest 777-300ER schedule. Thanks for reading! @ mike bay – Here’s a link to a great trip from Gary Leff detailing American’s Premium cabin service to Hawaii. I’m appalled that your friend would be distracted email while you’re relying on him to help navigate! Who would do such a thing? i wanted to comment that i flew this plane and was upgraded to biz yesterday and it was AWESOME! the bar in the galley, the lighting, the lay-flat seats and the entertainment options. i barely slept on my 11 hour flight from LHR-LAX!